U.S. levies on another $200 bln in Chinese goods are causing Republican lawmakers and companies to sound the alarm. They could have done so sooner – but were drunk on the president’s tax-cut plan. The timing will make it hard to stop what’s already gone too far. U.S. President Donald Trump listens to remarks by U.S. Trade Representative Robert Lighthizer before signing a memorandum on intellectual property tariffs on high-tech goods from China, at the White House in Washington, U.S. March 22, 2018. The U.S. Trade Representative on July 10 released a list of proposed Chinese products that could face the new levy. 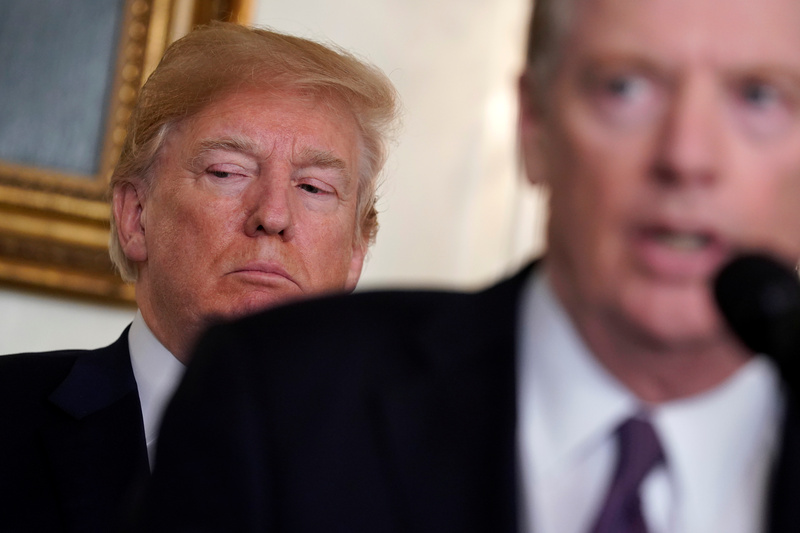 Robert Lighthizer said the action was in response to retaliatory tariffs imposed by China on July 6, when a 25 percent U.S. tariff on $34 billion worth of Chinese imports also went into effect. Congressman Kevin Brady called for U.S. President Donald Trump and Chinese President Xi Jinping to meet to resolve the tensions. Brady is chairman of the Ways and Means Committee in the U.S. House of Representatives. His counterpart in the Senate, Orrin Hatch, called the latest tariffs a “reckless” move. The National Retail Federation was among the business groups that also criticized the new tariffs. David French, the group’s vice president of government relations, said the new levies will cause an increase in prices for consumers.